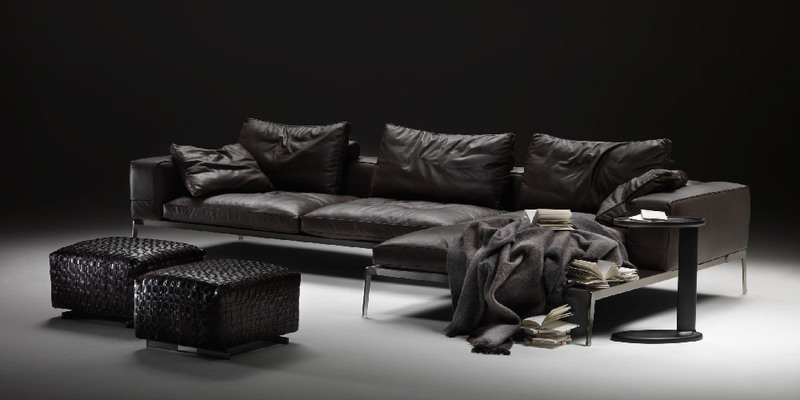 Very cozy, spongy and smooth Italian leather sofa. 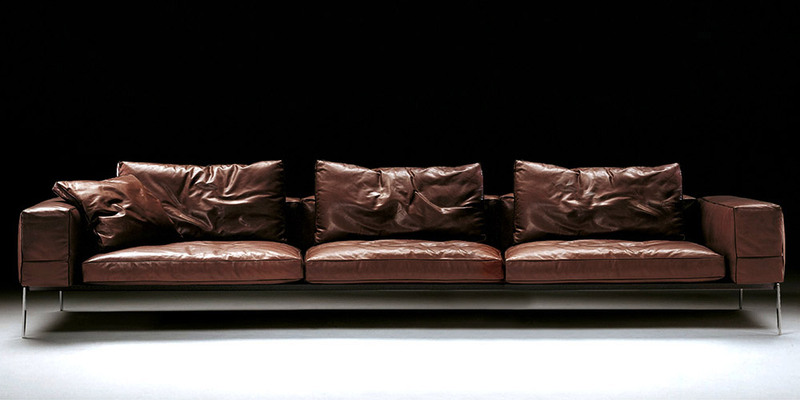 All cushions are stuffed with real goose feather of a very high quality, stuffed and checked to provide high level comfort. 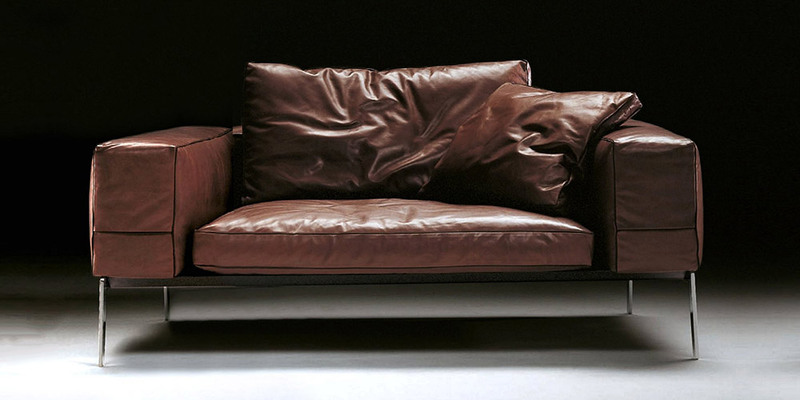 The peculiar features of this gorgeous Italian leather sofa are contemporary and elegant rustproof metal feet. 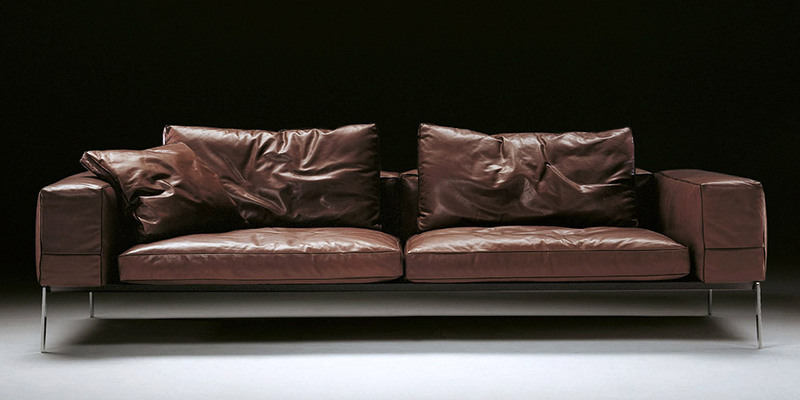 The price also includes the small cushion on the arm.